Learn the basic parts of a bike and some of the common tools used to fix them. 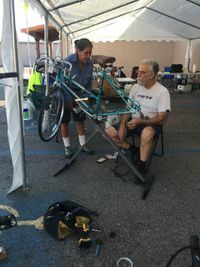 Learn from volunteer mechanics by getting hands-on experience repairing bikes. Velo Cruces, a Cruces Creatives partner that runs the Community Bike Shop, hosts this teaching session for free for the community.